Sunday I went to the botanical garden (Jardim Botânico) of Sao Paulo. It is a large and old garden, mind with everything you expect in a botanical garden. Mostly is a big park with nice ponds en spots to take pictures. It is one of the safer places in Sao Paulo I was told. Sunday morning that meant about as many security guards as people. Something to get used to. 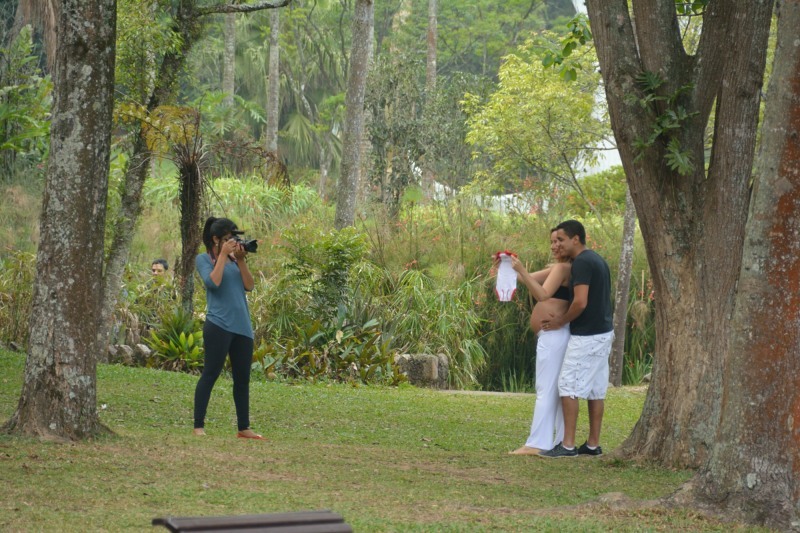 We saw quite a few couples that had pictures taken with baby clothes, something I had not seen before. But it meant I was not the only one with a big camera. Maybe a new thing to start in the Netherlands too? 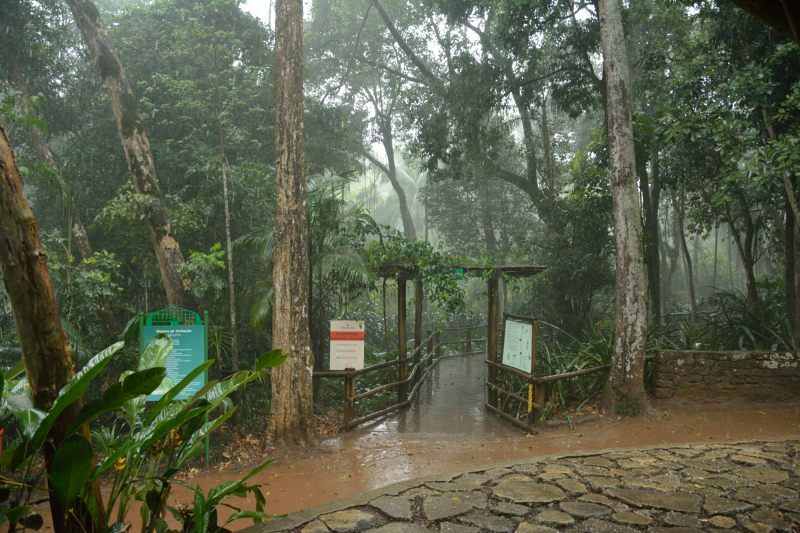 The botanical garden is not only a park or garden, but also has some real forest, or reforestation. 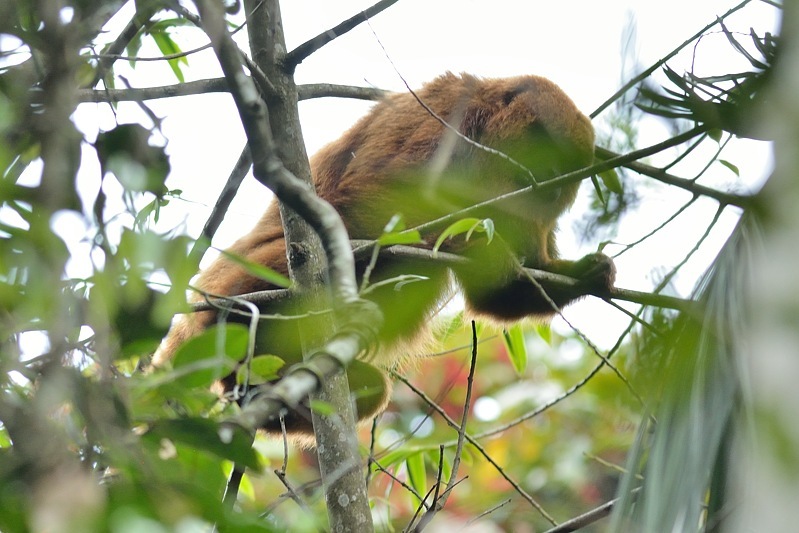 There were many howler monkeys in the trees. The make a lot of noise. 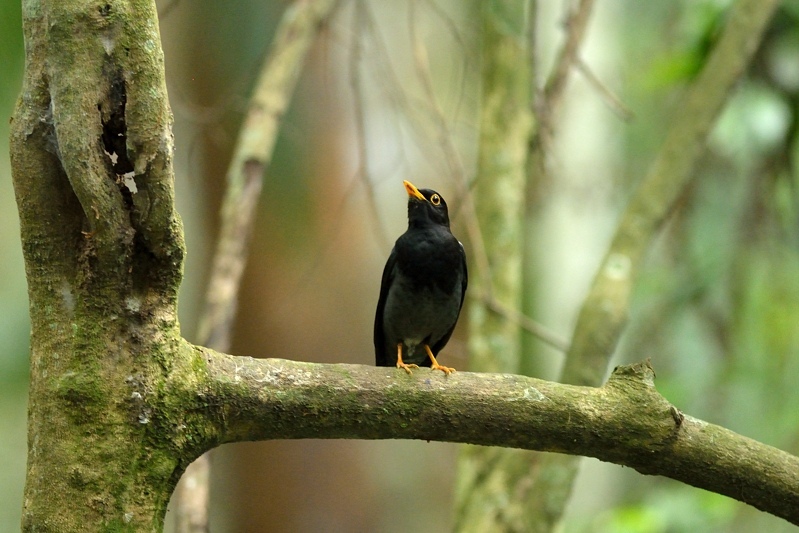 In the trees I also saw a bird that looks and sounds a lot like the european blackbird (merel). This is a yellow-legged thrush (geelpootlijster). Rain had been in the forecast for a few days, and finally we got it. Lot’s of it actually for almost an hour. Nothing we could do but wait, with the security guard and a few other people. When the rain ended, the birds came out again. 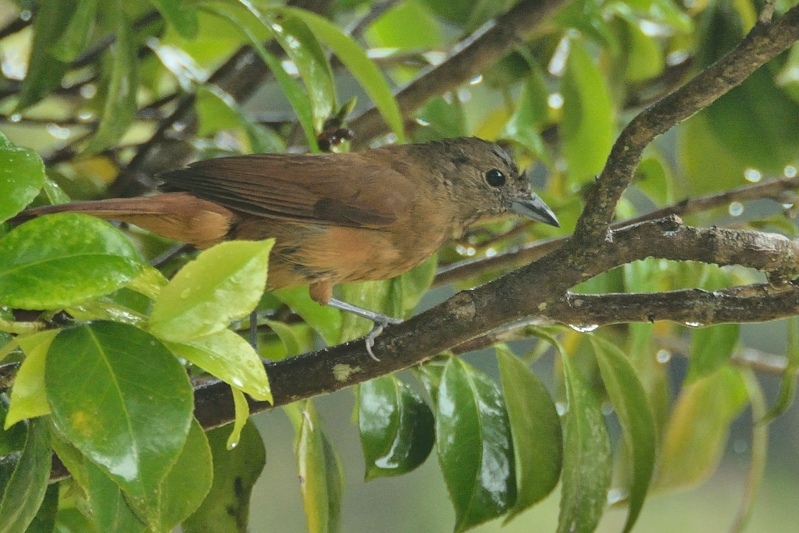 This is a female Ruby-crowned tanager (Kroontangare). 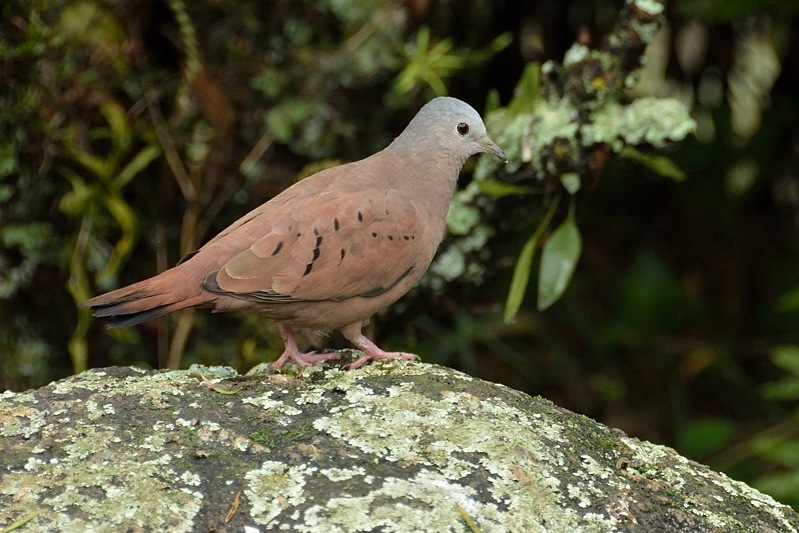 The Ruddy ground dove (steenduif) is a common dove species. It is a very small species, just a little bit bigger than a sparrow. 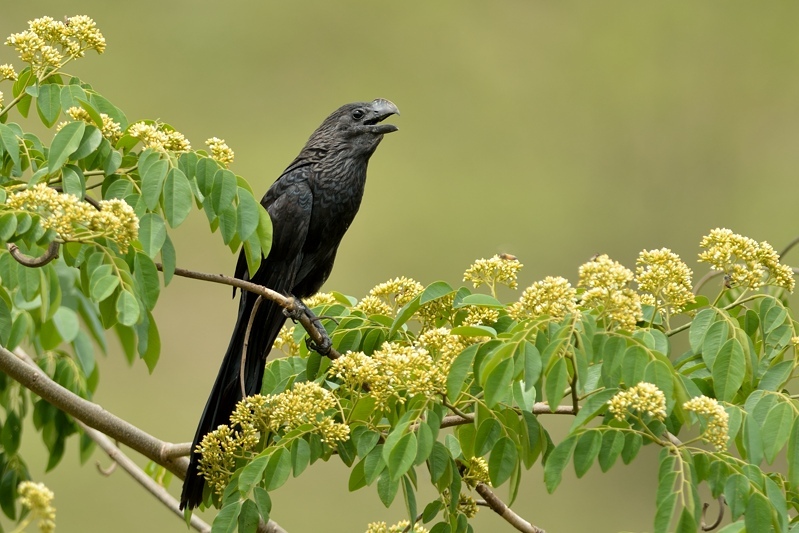 The shiny cowbird (glanskoevogel) is a breedingparasite (like the Cuckoo (koekoek)). 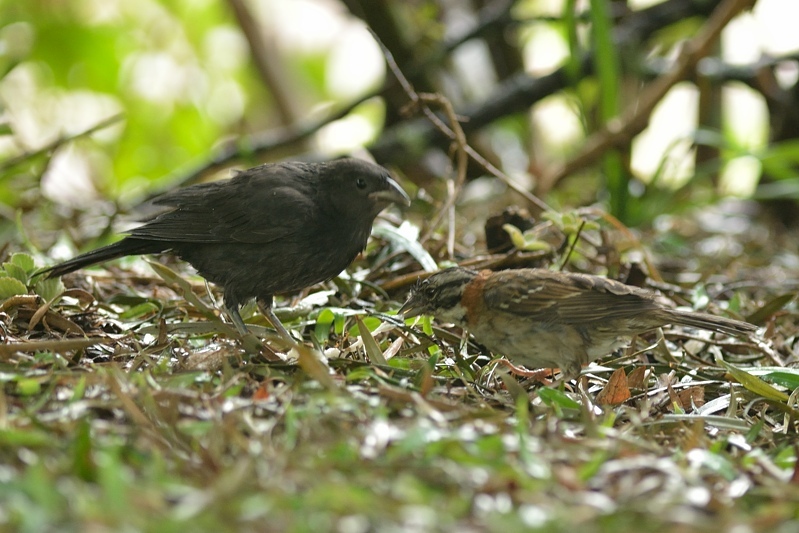 Here the parent rufous-collared sparrow (Roodkraaggors) is taking care of the feeding. This social flycatches (roodkruintiran) was kind enough to pose for picture in full glory. You can see the red on the top of his head. The rain really did bring the birds out. These rails (rallen) are normally quite shy, but they allowed their picture to be taken. 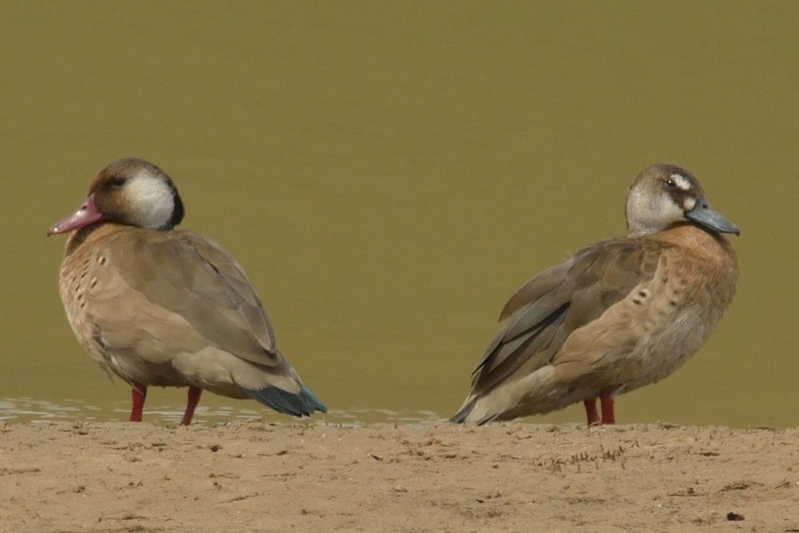 Last picture is a common bird in this are, the Brazilian Teal (Amazonetaling). Continuing the guided tour with Carlos Henrique near Salesopolis. We saw too many birds to include them all, cure so let me continue with some of the highlights for me. The smooth-billed ani (kleine ani) is one of my favorites. It looks like a primitive bird to me, something from the age of the dinasaurs. 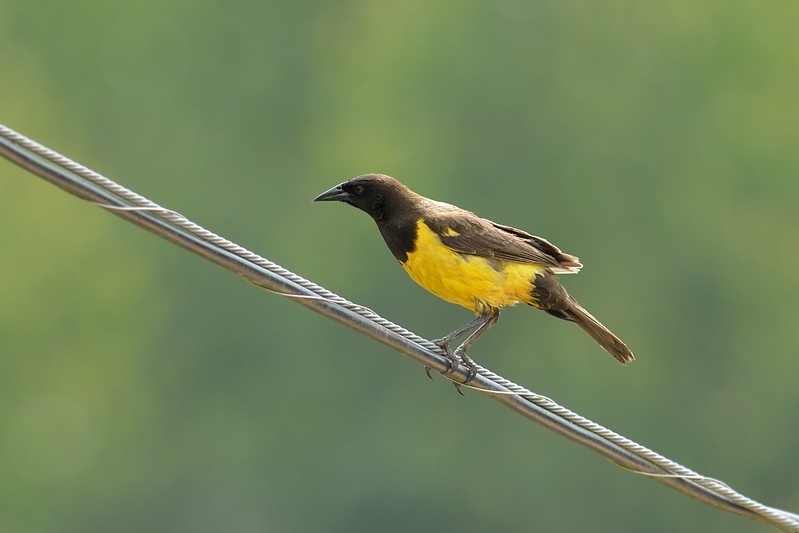 The yellow-rumped marshbird (geelstuitwatertroepiaal) was very far away, but kind of enough to fly to nearby powerline. 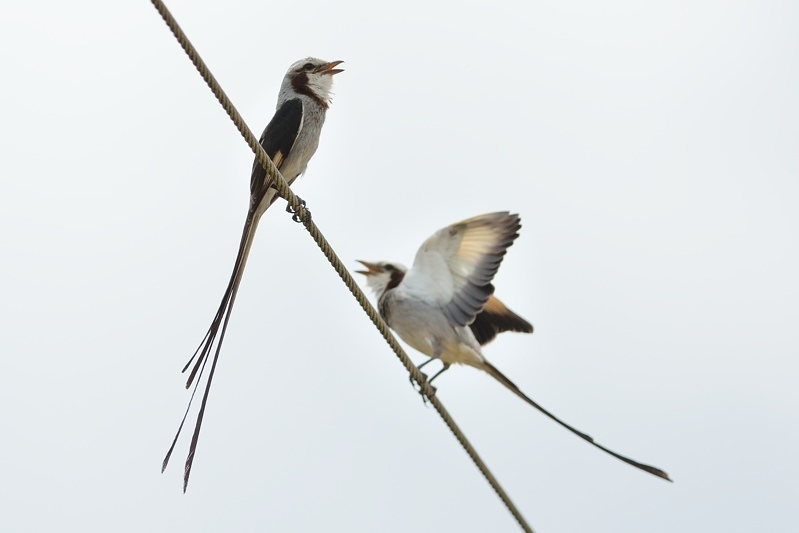 The same powerline had dancing streamer-tailed tyrants (lintstaarttirannen) for us. 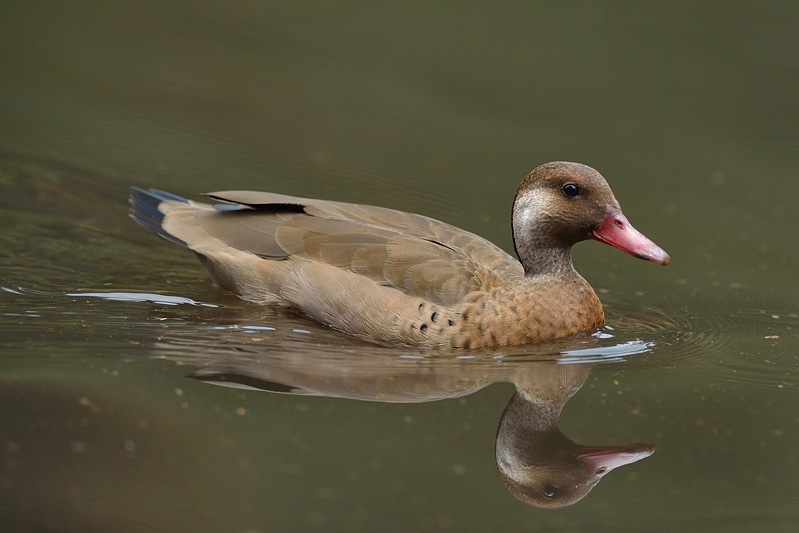 The Brazilian teal (Amazonetaling) is a common duck in this area. This couple was posing so nicely I had to take a picture. 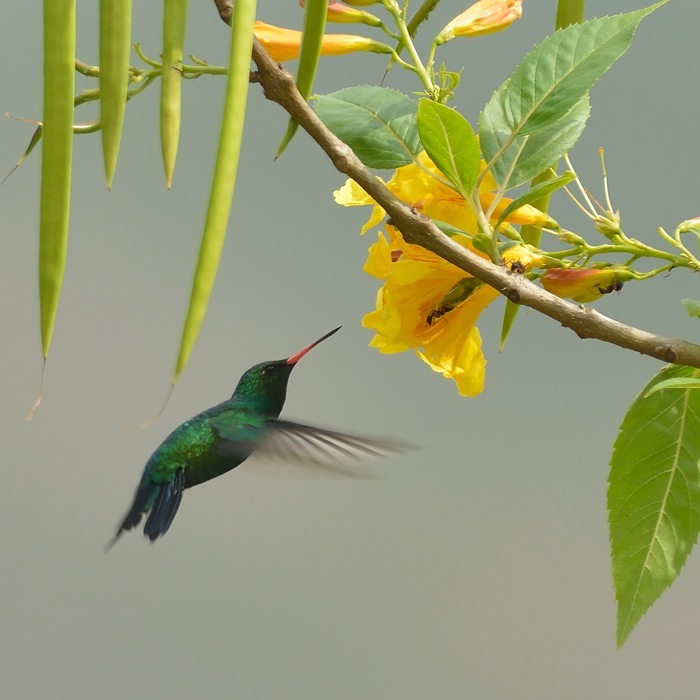 A few colorful birds to end with: the glittering-bellied emerald (Goudbuiksmaragdkolibrie) is a hummingbird, on this picture looking for nectar in the flower. When we approached this area, people chatting near a fence told our guide about a Toco Toucan (Reuzentoekan) that was usually nearby. 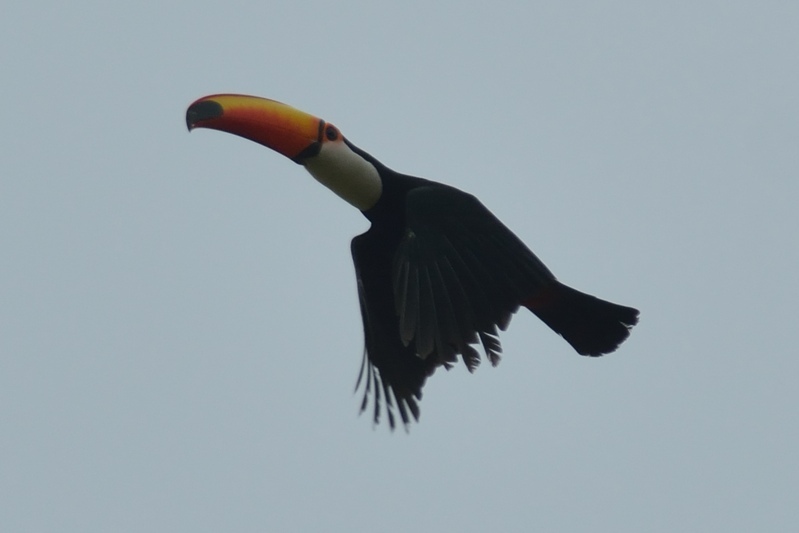 Unfortunately we did not find the bird in a tree, but he did do a fly-by for us. This is a big bird, 60cm. 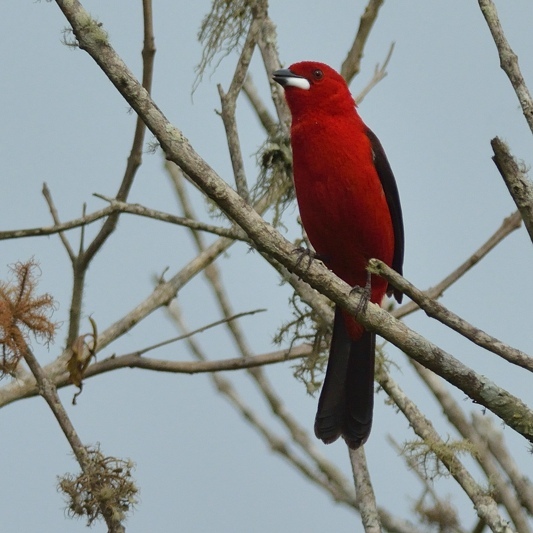 The last picture from my birding day with Carlos is the Brazilian tanager (Rode tangare), a bright red bird that unfortunately fairly shy. Especially in direct sunlight his colors are very bright. Continuing the guided tour with Carlos Henrique, shop now near Salesopolis. Brazil has many species of herons. 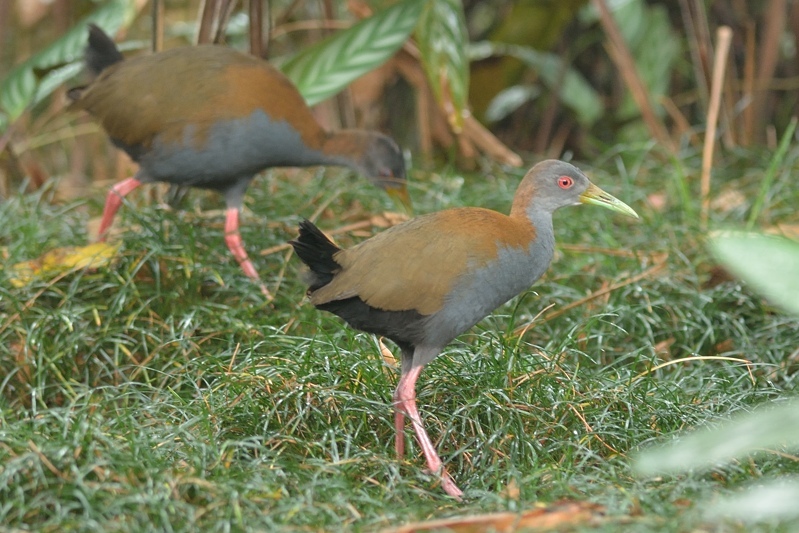 Both the whistling heron (fluitreiger) and the cocoi heron (sokoireiger) were new to me. 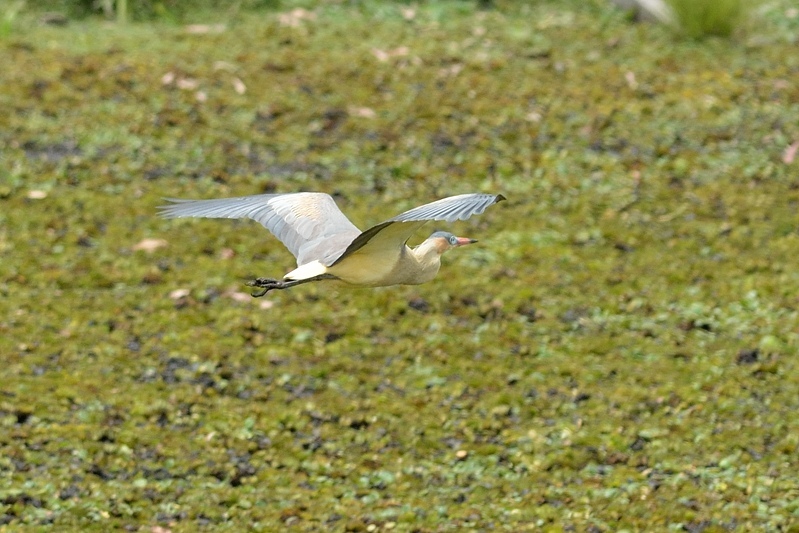 Both birds were pretty far away, generic there a picture from the whistling heron as it arrived. 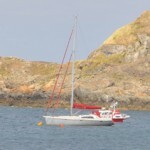 After the big herons our next stop was for smaller birds again. 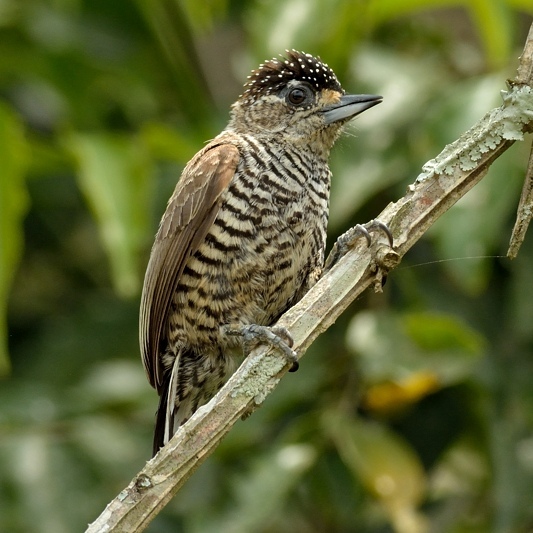 Fir the white-barred piculet (zebradwergspecht), a small woodpecker species. 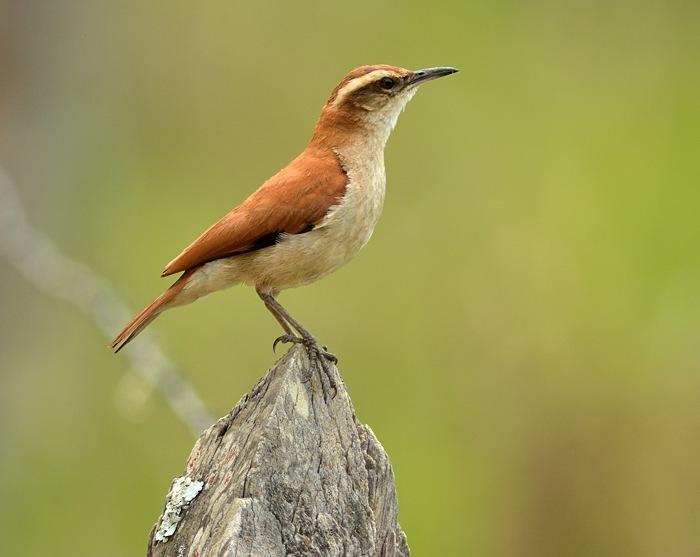 This bird is only 10 cm long, very short for a woodpecker. 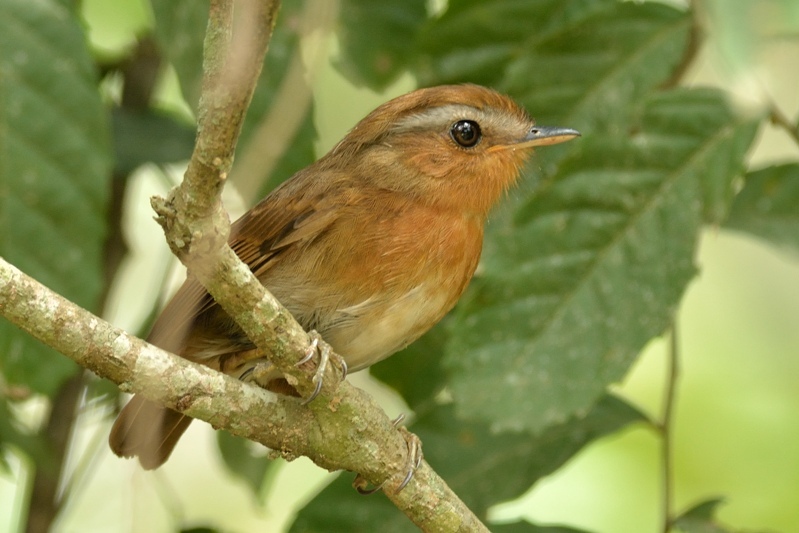 Somewhat bigger is the rufous gnateater (rosse muggeneter) with 12cm. 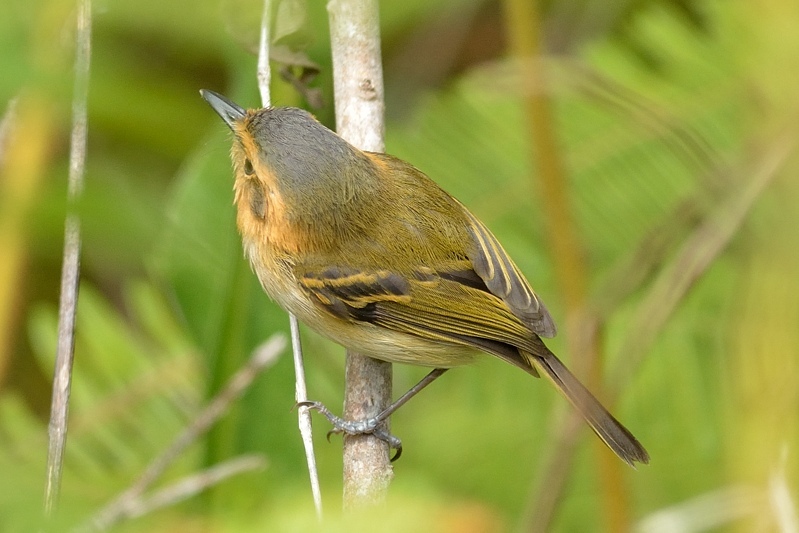 Somewhat bigger again is the golden-crowned warbler (goudhaanzanger), with 14 cm as big as a sparrow. 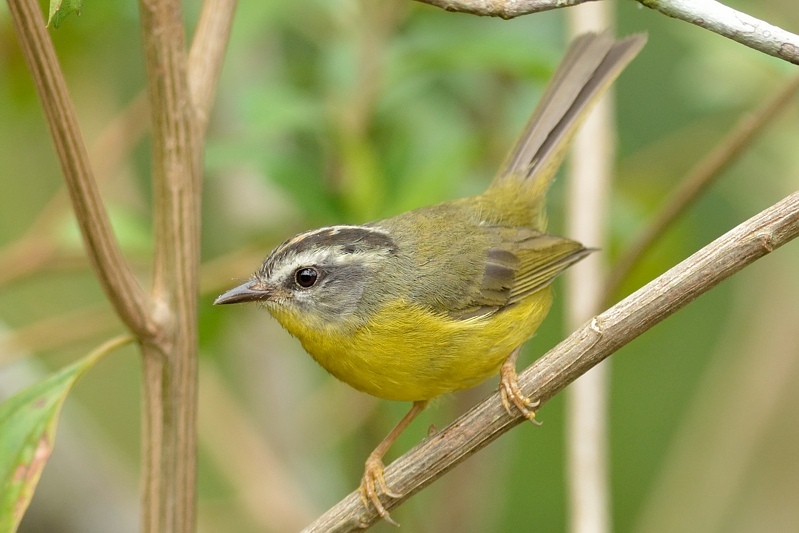 There are very many warbler species, and they are all alike. This one has a golden (red) crest. Hardly visible on this picture, but the bird can make it red if needs to impress other birds. We also saw a band-tailed or wing-banded hornero (witbandovenvogel), close family of the much more common rufous hornero. 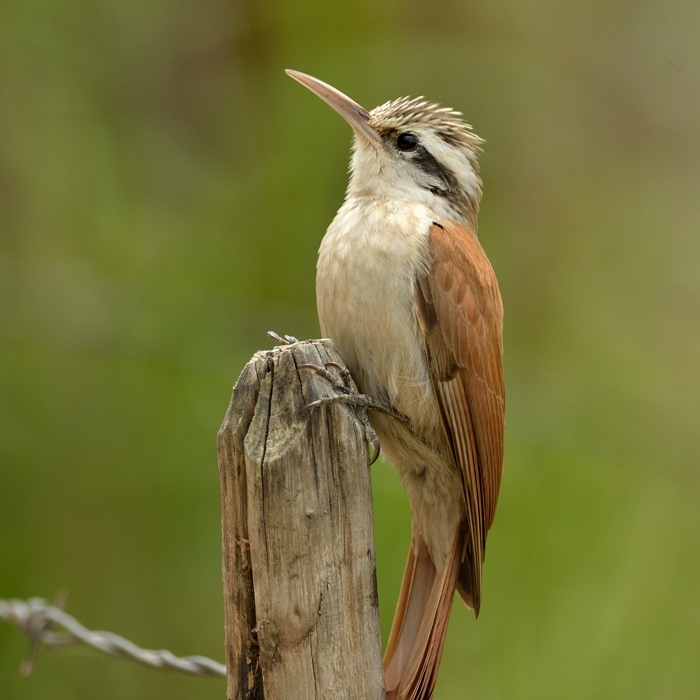 The narrow-billed woodcreeper (wenkbrauwmuisspecht) has remarkably similar colors! It feeds on trees, looking for insects. Continuing the guided tour with Carlos Henrique … post #3 from that daytrip. Our next step Carlos was looking for small birds using recorded songs. That gave me nice pictures from the Golden-crowned Warbler (Goudhaanzanger). But next Carlos became quite excited as he spotted a sleeping common potoo (Grijze reuzennachtzwaluw) on a tree trunk nearby. It was a first for him in all his years of being a birding guide. 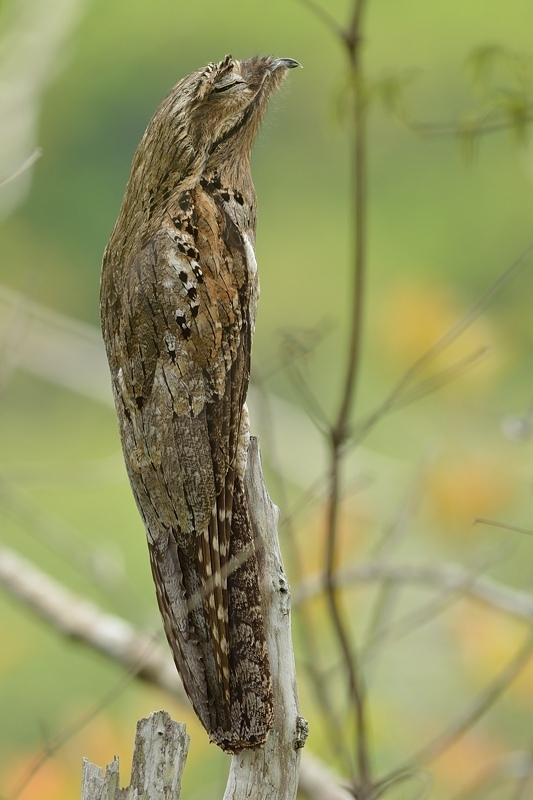 So despite the name ‘common potoo’, cialis this is not a very common sight. 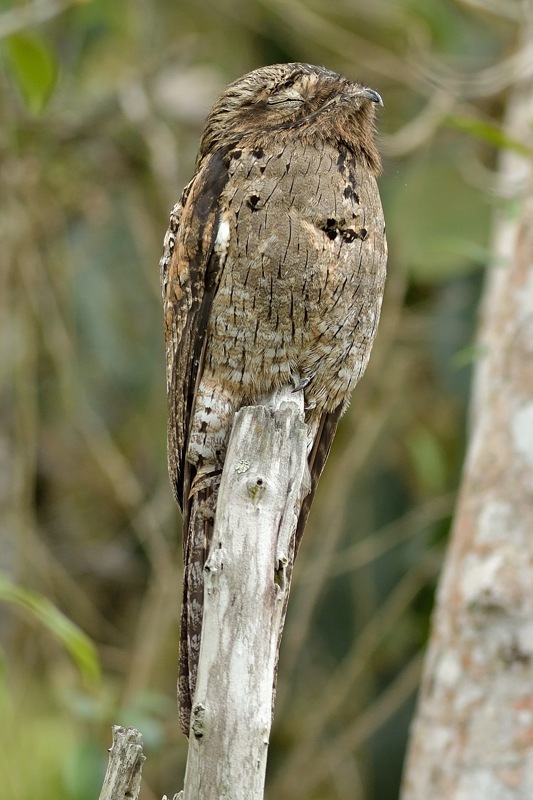 Potoos are night birds, the only change to see them is to find one sleeping. Another picture from the same bird because it was such a special find. After the big potoo back to the small birds, a top-view from an Ochre-faced Tody-Flycatcher (Bruinkeelschoffelsnavel). 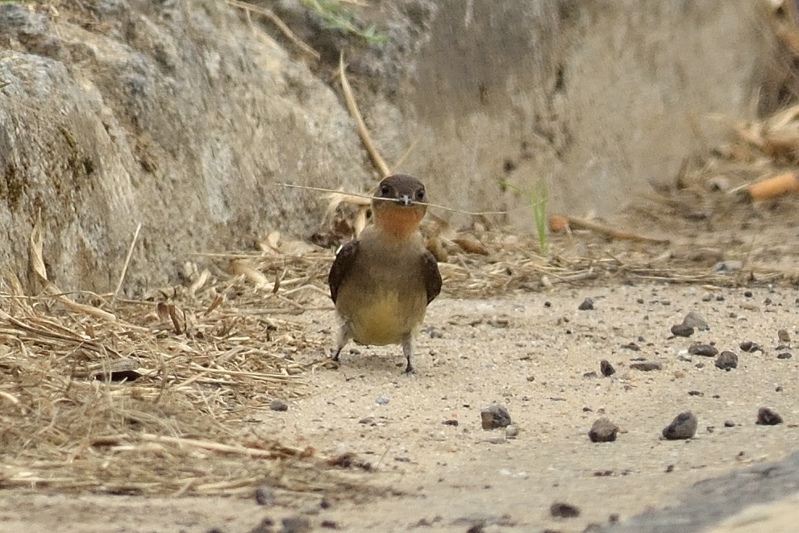 This is a tiny bird, only 9 cm. 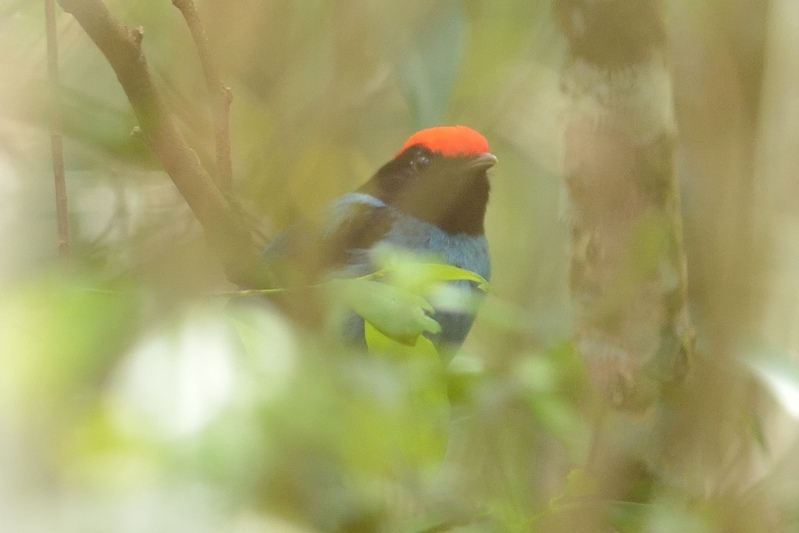 The blue manakin (zwaluwstaartmanakin) did not feel like coming out, so his picture is a blurred by the bushes in front of him. In a way that makes it more special I guess. Time for lunch in a local restaurant before we go to Salesopolis. Continuing the guided tour with Carlos Henrique our next stop near another field. 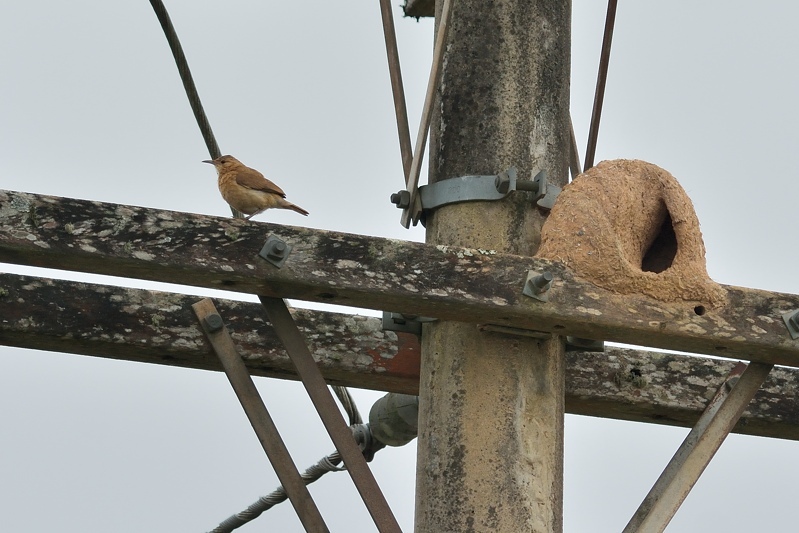 First a picture of the nest of the Rufous Hornero (Rosse ovenvogel), cialis sale which looks like an iglo made from mud. You can find the nests in trees, but also on telephone poles next to the road as you can see. 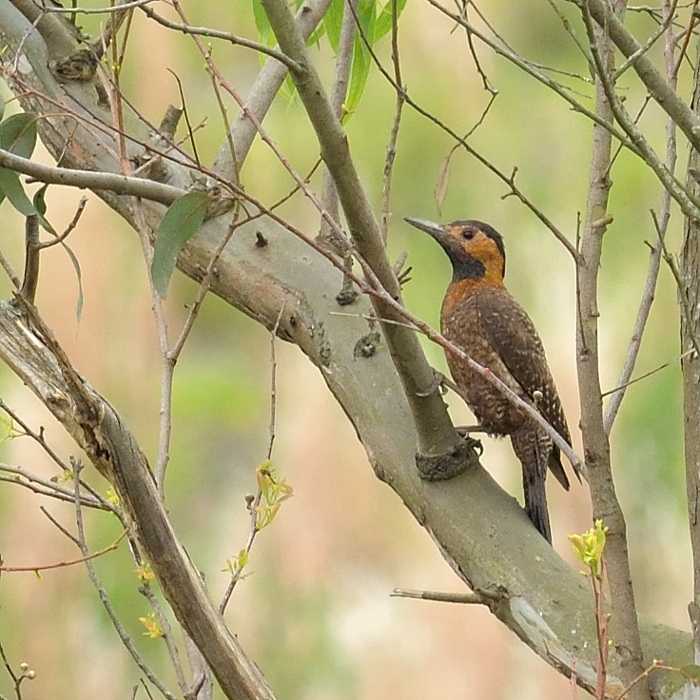 In the fields we spot a Campo Flicker (Camposgrondspecht), far away, but the background colors came out nicely so I include it anyhow. We saw many hummingbirds, but they are hard to take pictures of. Too fast usually. 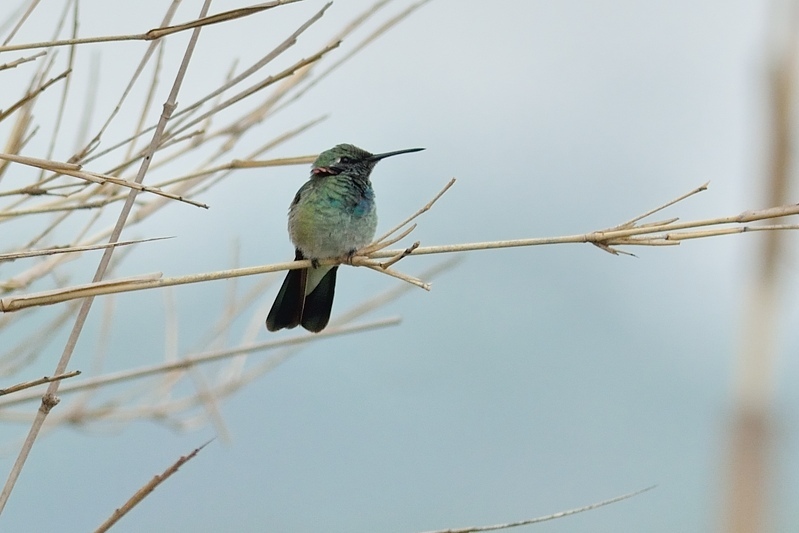 This White-vented Violetear (Witbuikvioletoorkolibrie) was kind enough to take a rest on a branch. Carlos could not find a Sao Paulo Antwren, apparently it was too dry for them in. 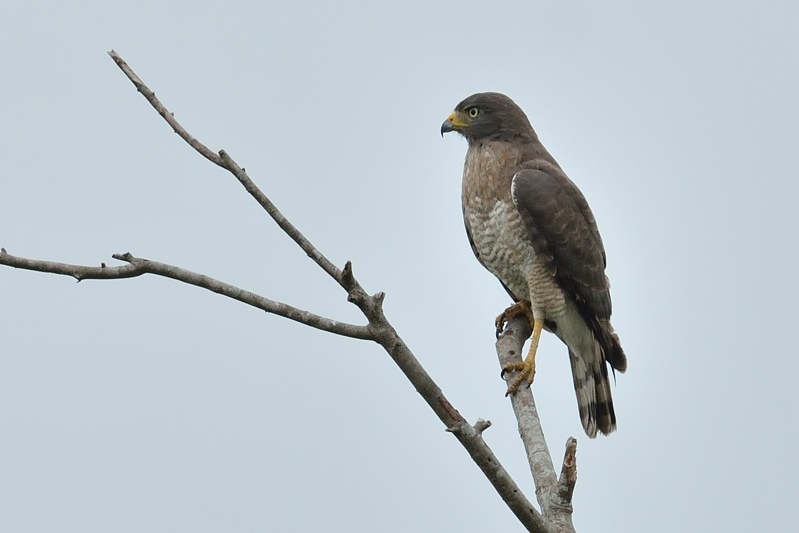 But where he expected the Antwren, we did find a roadside hawk (wegbuizerd). Unfortunately the hawk was pretty far away for the 300mm lens. 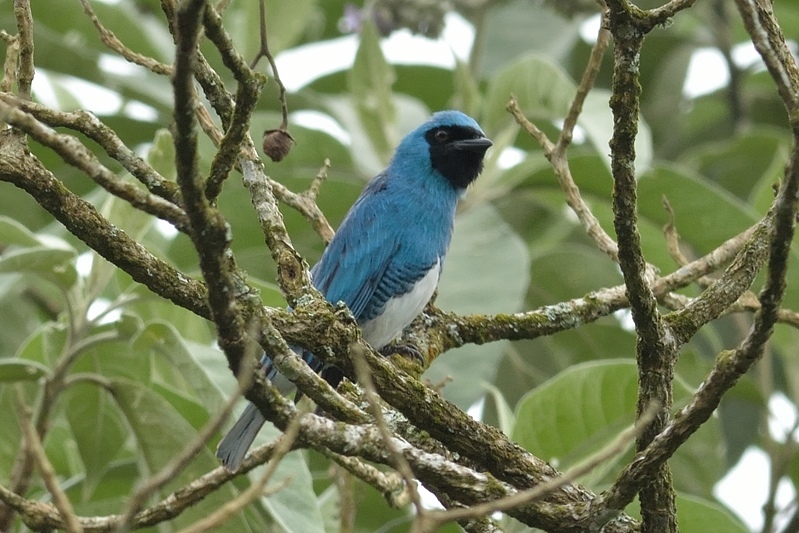 Nearby we found we swallow tanager (Zwaluwtangare) in a tree nearby. This is a bright blue bird. The same stop we found white-spotted woodpeckers (Parelbuikspechten), a pair on a tree trunk. The male has a red crest. 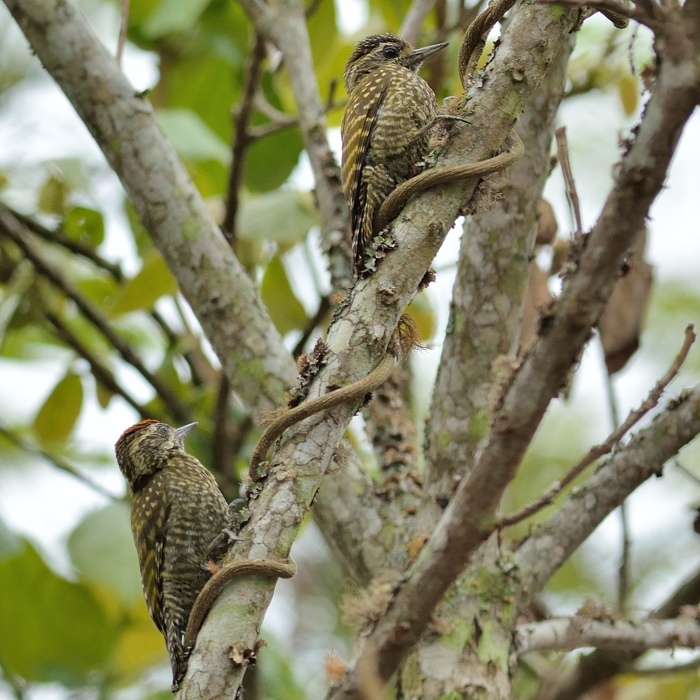 I had never seen such small woodpeckers before. 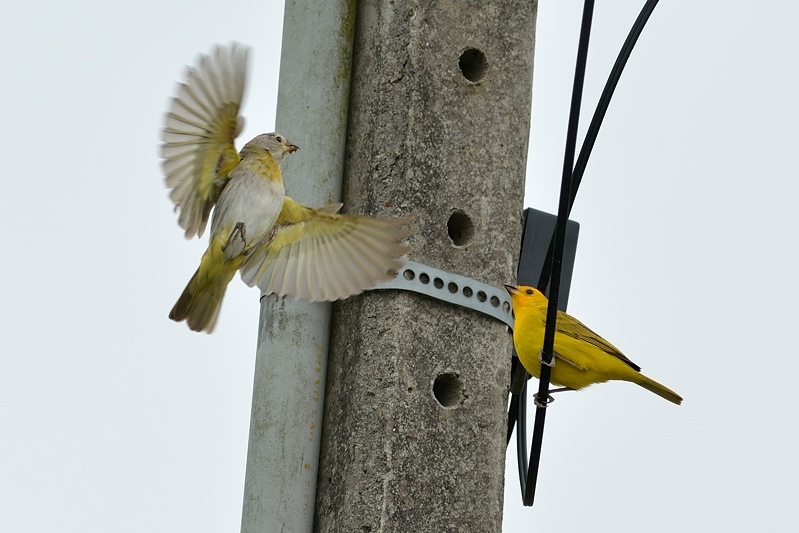 A pair of saffron finches (gewone saffraangorzen) sat on a nearby telephone pole. The female decided to leave when I made the picture, which actually made the picture a lot nicer. More and more birds came by. 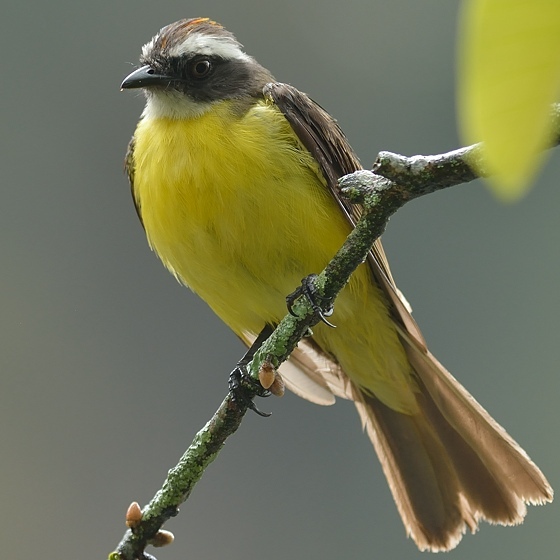 The small-billed eleania (Kortsnavelelenia) and bran-colored flycatcher (roesttiran) did not really cooperate. 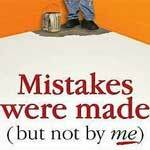 Click on the links for the not-so-good pictures. We saw more birds here, but one more picture: the southern rough-winged swallow (Zuid-amerikaanse ruwvleugelzwaluw). © Gilbert Houtekamer. Blog site running WordPress with Twenty Eleven Theme (33 queries. 1.332 seconds, CCBot/2.0).